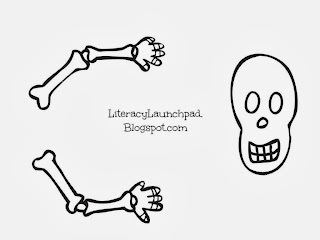 Literacy Launchpad: New, Fabulous Halloween Book and Activity! New, Fabulous Halloween Book and Activity! Charlotte Gunnufson sent us a copy of her new book Halloween Hustle and the kids and I have been enjoying it immensely. I have actually had to get onto my kids a bit about them dragging the book all over the house (and out to the car on errand trips), before I got a chance to post a review while the book still looked nice and new! I planned to sit down and read and play with the book today with My Little Reader since it's aimed at kids around his age (he's in kindergarten). But my older son (9) couldn't resist the fun and wanted to join us too! 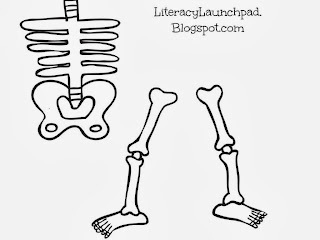 I thought it would be fun to make our own little skeletons that could do the Halloween Hustle as we read the story, and fall down just like the skeleton in the book. My Little Reader decided he wanted to make a mummy like the one in the book. After some hard work, and a couple revisions, he had it the way he wanted. We each attached our creations to popsicle sticks for marionette-style puppets. I used simple white yarn (because that's what I had in my craft cabinet) to attach the mummy and skeleton to the popsicle stick handles. We punched holes and used twisty ties (again, using what I had handy) to make the puppets' joints move so they could hustle. Isn't that an adorable mummy? I think so! The story is full of fun and whimsical Halloween-type characters that are headed to a party on Halloween night (warning: there is a zombie in the story that is a little on the gross side). 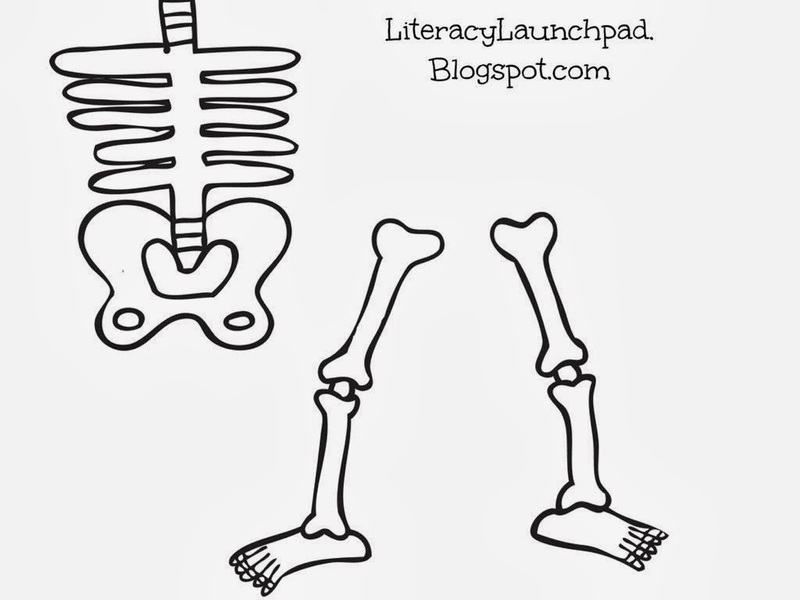 While observing the cover, My Little Reader wondered how the skeleton would be able to dance without falling apart since he has no skin or muscles, and he was right on the money with his wonderings. 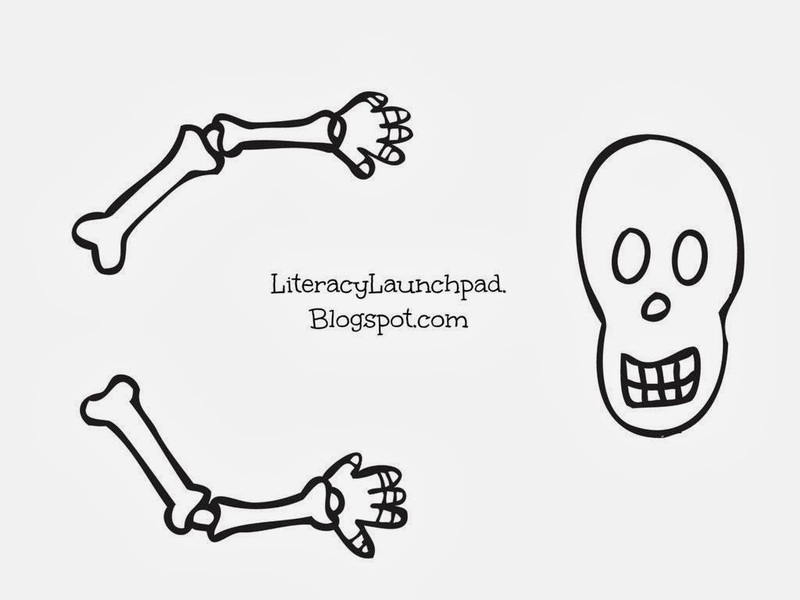 Turns out the skeleton has quite the trouble staying put together as he dances through this tale. The rhyming text makes it lots of fun. And we love that it has a happy ending for the skeleton. And it really says something when my nine year old thinks a picture book is cool enough to sit and listen to mom read it. 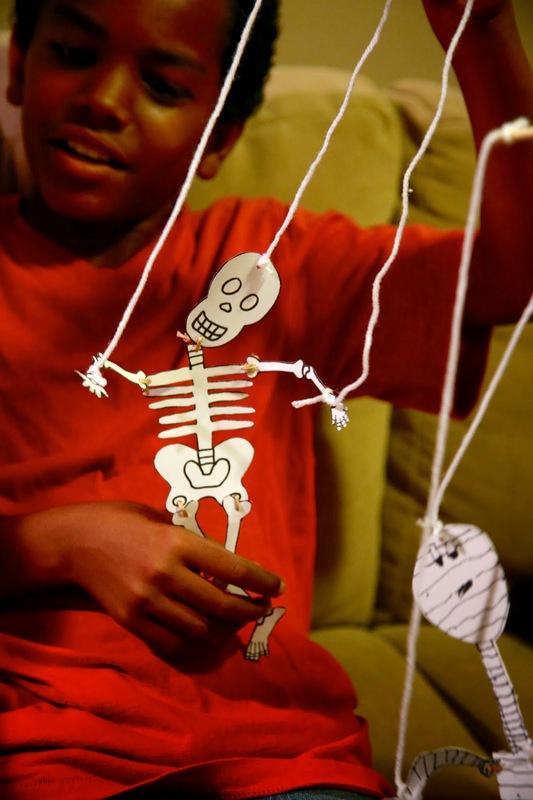 The skeleton would be easy enough to use even without the string and popsicle sticks attached. You could make the jointed skeleton out of card stock and simply let your child hold him with his hands and make him dance. Be sure you use card stock - I don't think regular paper, or even construction paper, would be heavy enough to work very well. I have included a pattern for the skeleton that I made (below). I do not have a pattern for the mummy My Little Reader made. But your little reader could make their own mummy, or could create a puppet based on another character in the book. You could make all the characters and do a puppet show of the story! 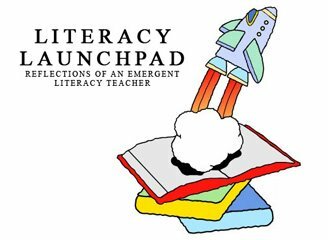 Check out the book trailer here! And learn how to do the "Halloween Hustle" here! Have fun! And I would love to see some pics of your puppets you make! We Love Goodreads! How 'Bout You?